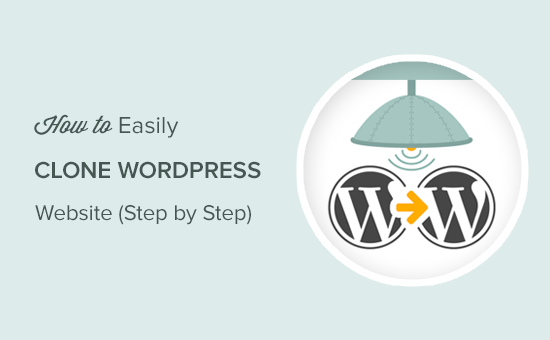 For majority of use-cases where you have to duplicate a WordPress site, we recommend using the above method because it’s the easiest and most comprehensive. 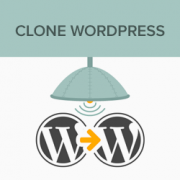 While there is a problem with simply cloning a site without any new content, the primary goal would normally be to use this when transferring your site from one location to another and then removing the old site or using the copied site as a template and adding new content to your new site. For some inexplicable reason, when I save this useful page to Pocket, what actually arrives there is the old 11 May 2015 version, which discusses a completely different method based on a plugin called BackupBuddy which costs $52 for the 1-site version. I’ve been in touch with Pocket. They suggest it might be a problem with their Parser, which checks the content and determines the best way to display it. They’ve managed to reproduce the bug and are investigating. I wand to upgrade my production site to WP 5 and change themes. I thought it might be a good idea to clone my site on my local windows machine under Desktop Server. I’ve been trying for 2 days to clone my site. Let me just add that your tuto is perfectly straightforward as long as things go well. It doesn’t go into what might not work correctly. Firstly Duplicator package creation times out (despite having filtered out the big files). Of course my hosting company doesn’t support Duplicator because it tries to change the time limit, can’t really blame the host company. I also tried the Duparchive option which doesn’t time out and generates a .daf archive instead of a .zip. On the Desktop Server local side I tried to run installer.php from my browser but got messages saying I needed to enable ziparchive and/or shell exec. I contacted Desktop Server support about that and have had no answer. I thought I’d try to extract the data from the daf archive manually but the software that is needed to do this no longer seems to be available. I imagine that the Duplicator Pro version would work better but I don’t have the budget (association website). Oh woe is me, looks like I’ll have to do it all by hand. 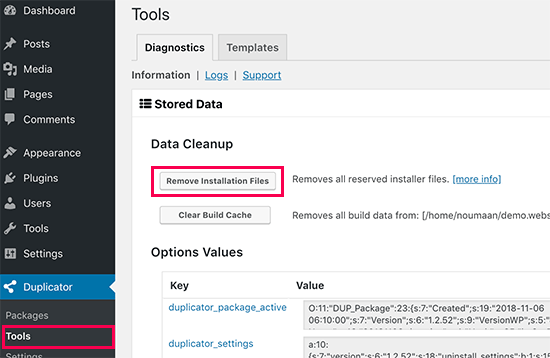 From the sound of it you sadly may need to manually import/export the data, the other option would be if you have a backup of your site that you could restore to your local installation. Followed your steps and it worked perfectly. I did make one error though, I extracted the zip file and uploaded the files in ftp which did create errors. Much easier to simply upload the zip instead. I copy sites all the time. The plugins actually look more complicated than doing it manually. Just download your files, back up your database, ftp to the new server, restore your database to your new database, edit the wp-config file to point to the new database, edit the url in your database to point to the new url. I also download velvet blue to correct any url problems. I had a site not pass our security scan that used the plugin. Also, the database back up was stored in the root of your site. Is there any plugin or other software that could clone a wordpress website to another wordpress on the live? The price for this is riduculous. Even the cheapest option is $80 PER YEAR! What an absolute rippoff! Better off just going to Control Panel, zipping up your files and download them … then go to PHPMyAdmin and downloading a copy of your database. Then upload your zipped files to the new location…edit the config file, then import the database. 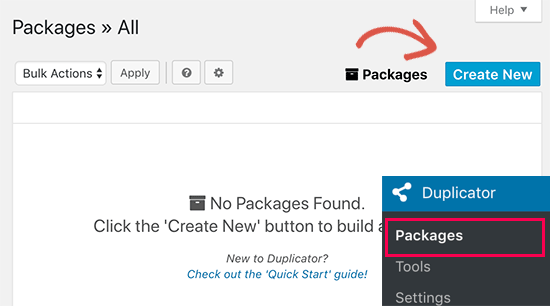 If that’s too hard for website retards … just install the free version of “Duplicate” (similar to Backup Buddy … but FREE). Either of you have a step by step guide? I am trying to copy my site to a subdomain to target a different city from the main site. What are you talking about? Duplicator is free. I mean, there’s a pro version, but I use the free version all the time to duplicate websites. 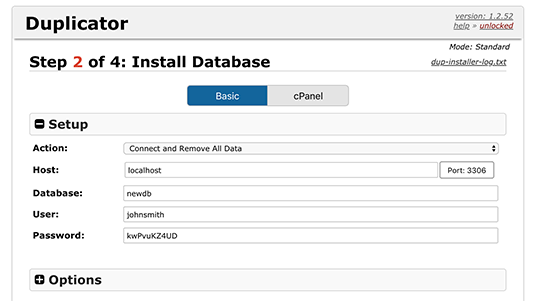 The only thing these instructions didn’t add is that you need to first create a new database and add a user to it on the new site before running the installer. But it’s all easy and free. Can i copy someone’s site page to my site?? I really appreciate all the posts you share with us! Please keep them coming! This technique using BackupBuddy works flawlessly. When I type in the URL of my original site (where I took the backup), I get directed to the site I cloned from that backup. It’s as if my original site now has a redirect to the cloned site. What on earth have I broken? Check your DNS record. That would be one of the only ways this would happen. I would like to know how to clone any wordpress website have no hosting access information as well. I mean, suppose a buyer order your wpbeginner like website. Then, How to do it sir. Do you have any tutorials plz. not possible anymore to use backup buddy unless you want to pay. Is their a different method? I’ve used another service to clone WordPress sites and have discovered a problem with residual tables, and I was curious whether this was an issue with BackupBuddy as well. In the scenario I recently encountered, I create WP Site A with table prefix wp1_. 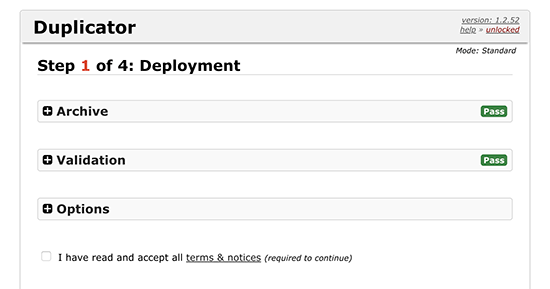 Then I have to create a new environment to clone to, so I install WordPress at WP Site B with table prefix wp2_. Now I use my [unnamed] tool to clone site A to site B, which appears good on the admin and public side but when I look in the database I have both wp1_ and wp2_ sets of tables, and all of the GUIDs in the functioning tables for the new cloned site have WP Site A’s URL, not WP Site B’s as I would have expected. These have to be cleaned up manually. So I wonder, does BackupBuddy do the same thing? Is this to be expected? BackupBuddy’s sales/support team can probably answer this better. 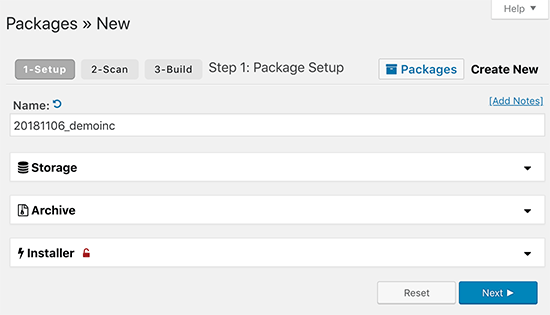 I’d be curious to know how to manually perform this task without a plugin or is a plugin recommended for backing up and migrating over to a new website? BackupBuddy fails on large WordPress installs. I can’t get it to back up our site which between database all files is over 400GB in size. I had to manually download all of the files, then re-upload them to the new site and use importbuddy with just the database. Even that fails if the raw database is too large (failed around 200MB in size). 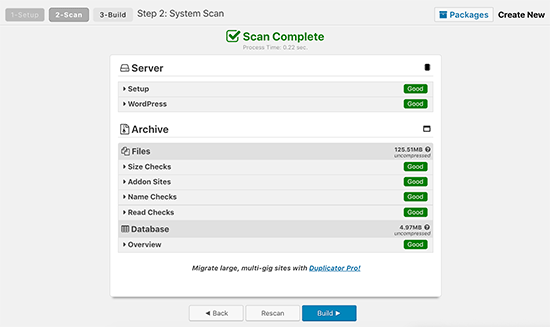 I recently moved a small simple blog with all-in-one wordpress migration and it worked great. But when I attempted a larger site on wp4.1 it failed. I think I would like back up buddy but the price is staggering. It would be my biggest wordpress expense, almost twice as much as my hosting! I love using BackupBuddy for backups and migrations. 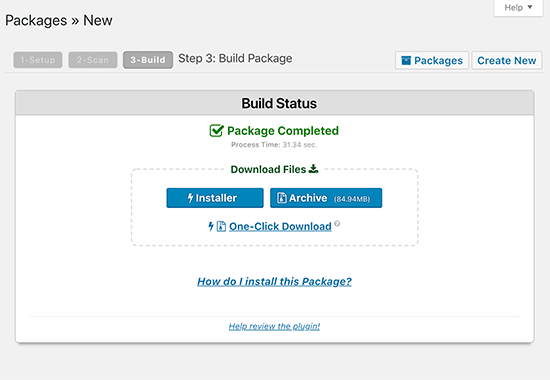 All you need is access to install the plugin and your set to move. How about if we want to clone a website that we have no backend access? Is there an easy way? Do you have ftp access? Do you have access to the database? You would need those two things to backup a website if you don’t have access to wp-admin.